The Frye Engineer 12R boot is a ruggedly feminine style that is hand-crafted for a superior fit and offers incredible comfort. Rich leather upper with a light greasy appearance for a more authentic look. 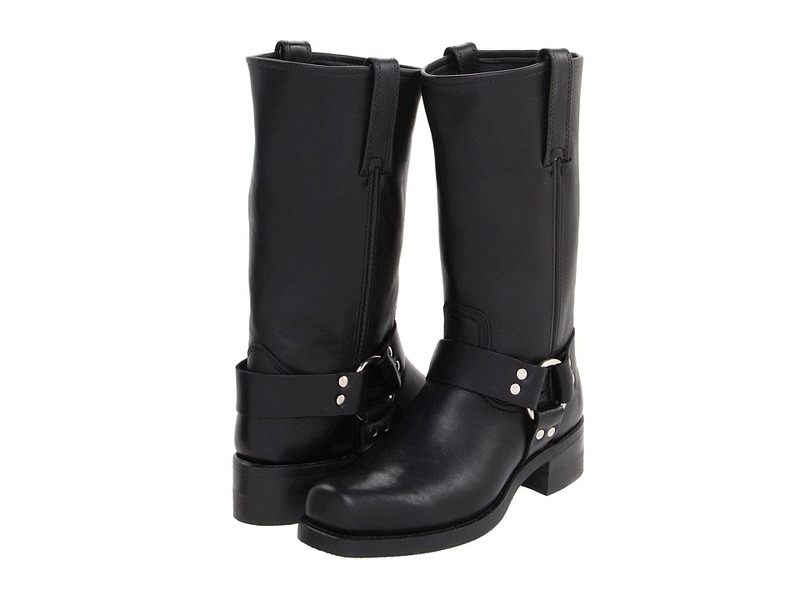 Moto-inspired boot. Two leather straps with silver-tone metal buckles. Gusset opening at collar for easier entry. Unlined interior for a lightweight construction. Lightly cushioned leather outsole provides underfoot support. Full-length leather midsole for support and durability. Stacked leather heel. Durable rubber outsole offers excellent traction and stability. Made in the U.S.A. Measurements: Heel Height: 1 3 4 in Circumference: 13 in Shaft: 9 in Product measurements were taken using size 6.5, width B - Medium. Please note that measurements may vary by size. Weight of footwear is based on a single item, not a pair. 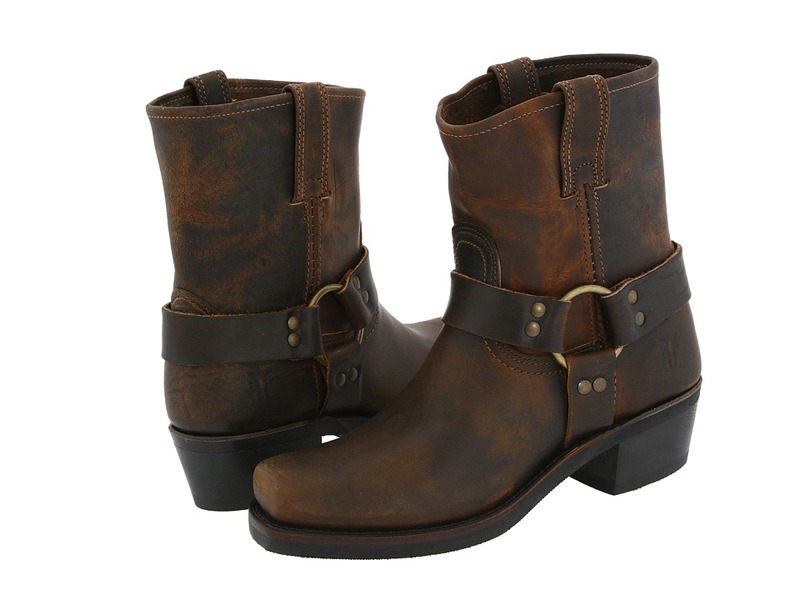 Flaunt your fabulous fashion know-how with these flattering Frye Harness 12R boots! 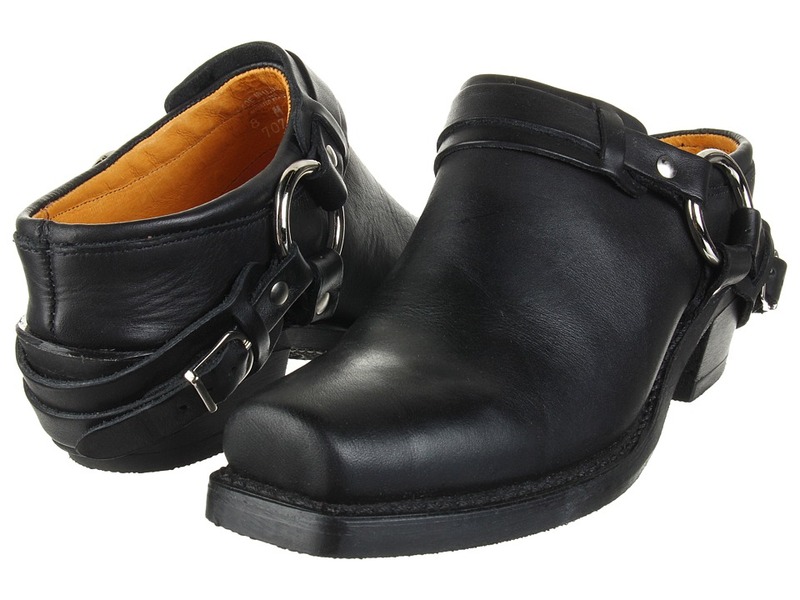 Luxurious leather upper with harness detail for a classic look. Unlined interior. Genuine Goodyear welt construction provides maximum support with authentic styling. Specially formulated leather insole offers superior cushioning. Full length leather midsole provides durability and comfort. Durable neoprene outsole is oil resistant. Made in the U.S.A. Measurements: Heel Height: 2 in Weight: 2 lbs Circumference: 15 in Shaft: 11 in Platform Height: 1 2 in Product measurements were taken using size 10, width B - Medium. Please note that measurements may vary by size. Weight of footwear is based on single item, not the pair. Genuine Goodyear welt construction provides maximum support with authentic styling. Vibram sole and full length leather midsole for durability and comfort. Shaft height 7 &amp#188 inches, circumference about 14 inches. Stylish 1 &amp#190 inch heel. Specially formulated insole offers superior cushioning. A must have, pick up a pair today. Measurements: Heel Height: 1 3 4 in Product measurements were taken using size 10, width B - Medium. Please note that measurements may vary by size. Weight of footwear is based on single item, not the pair. An awesome and stylish boot. Leather upper for superior wear. Leather lining provides breathability, and extra comfort. Lightly padded footbed for added comfort, support, and shock absorption. Reinforced boot straps for easy pull-on. Leather sole provides excellent traction. 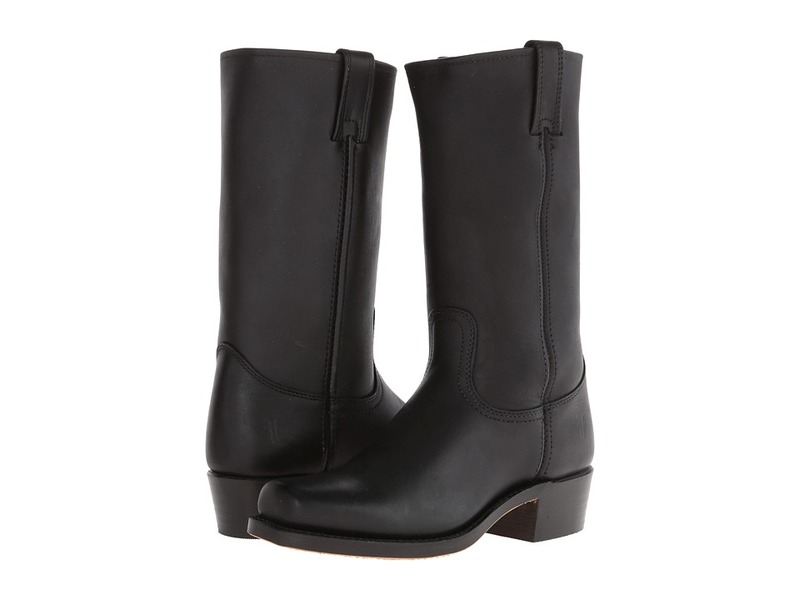 A great boot, a must have for any wardrobe. Measurements: Heel Height: 2 in Circumference: 15 1 2 in Shaft: 12 in Product measurements were taken using size 10, width B - Medium. Please note that measurements may vary by size. Weight of footwear is based on single item, not the pair. These heeled darlings will spice up your look for day or night! Leather upper for long beautiful wear. Lightly padded footbed for added comfort. Leather lined for superior comfort. Neoprene oil resistant sole provides excellent traction. A great addition to any wardrobe. Made in the USA. Measurements: Heel Height: 2 in Weight: 1 lb 6 oz Product measurements were taken using size 10, width B - Medium. Please note that measurements may vary by size. Weight of footwear is based on single item, not the pair. 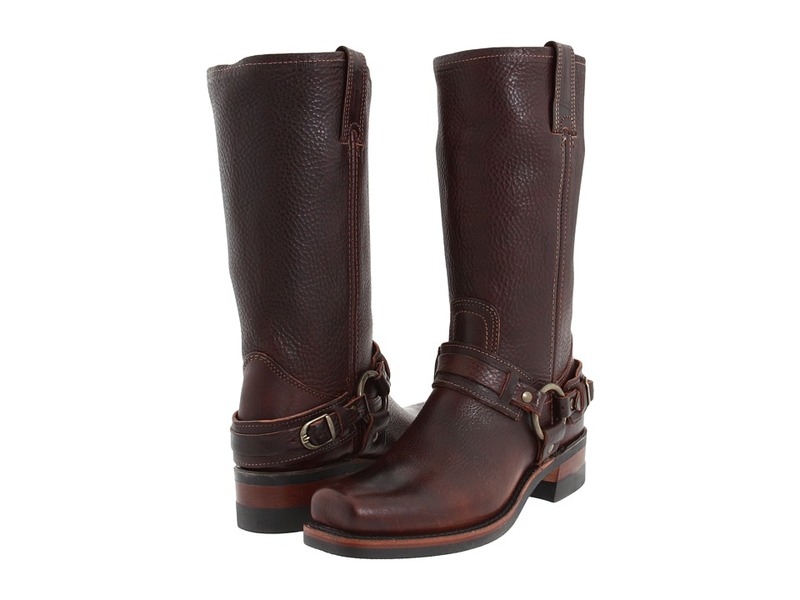 The classic Frye Campus 14L offers exquisite style for the perfect look. Handcrafted crunch leather upper. Goodyear welt construction provides long-lasting durability. Smooth leather lining for a comfortable next-to-skin feel. Specially formulated insole offers superior cushioning. Stacked leather heel. Leather outsole with rubber heel tab for added traction. Made in the U.S.A. Measurements: Heel Height: 1 3 4 in Weight: 2 lbs Circumference: 14 3 4 in Shaft: 13 in Platform Height: 1 2 in Product measurements were taken using size 6.5, width B - Medium. Please note that measurements may vary by size. Weight of footwear is based on single item, not the pair. Made in the U.S.A. 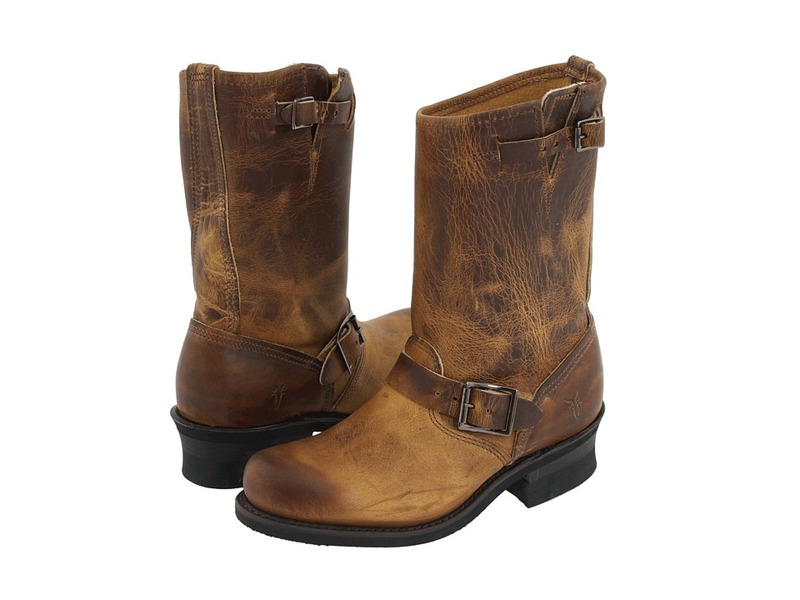 Create a refined, sophisticated look the next time you~re out and about in these classy Engineer 12R boots from Frye! Pull-up leather uppers. A sloping, split collar provides easy entry and ultimate comfort. Angled-shaft for better fit. Unlined interior. 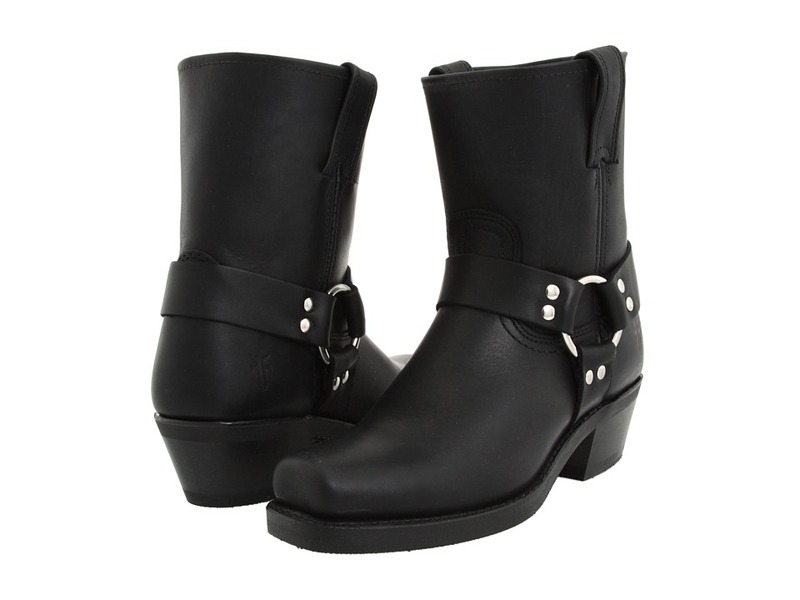 Adjustable securing straps on cuff and vamp with forged-nickel buckles for optimum fit. Wellington vamp. Rounded toe box. Genuine Goodyear welt construction provides strength, durability and support. Cushioned shock-absorbing memory insole. Full-length leather midsole. Contoured stacked leather heel with rubber heel lift. Neoprene oil-resistant lugged outsole for durability and excellent grip. Measurements: Heel Height: 1 5 8 in Weight: 1 lb 14 oz Circumference: 14 1 4 in Shaft: 9 7 8 in Product measurements were taken using size 8, width D - Medium. Please note that measurements may vary by size. Weight of footwear is based on single item, not the pair. The Frye Harness 8R is a classic motorcycle-inspired boot that is sure to be a timeless and versatile addition to your wardrobe. Washed oiled vintage Italian leather or oiled suede upper. Leather type is stated in color name. Features a classic harness detail for a vintage look. Dual pull straps to make these boots easier to get on. Genuine Goodyear welt construction provides maximum support with authentic styling. Unlined interior for a lightweight construction. Lightly cushioned leather footbed for added comfort. Full length leather midsole for durability and support. Durable rubber outsole provides excellent traction. Made in the U.S.A. Measurements: Heel Height: 1 3 4 in Weight: 1 lb 10 oz Circumference: 14 in Shaft: 7 1 2 in Platform Height: 1 2 in Product measurements were taken using size 7, width B - Medium. Please note that measurements may vary by size. Weight of footwear is based on single item, not the pair. 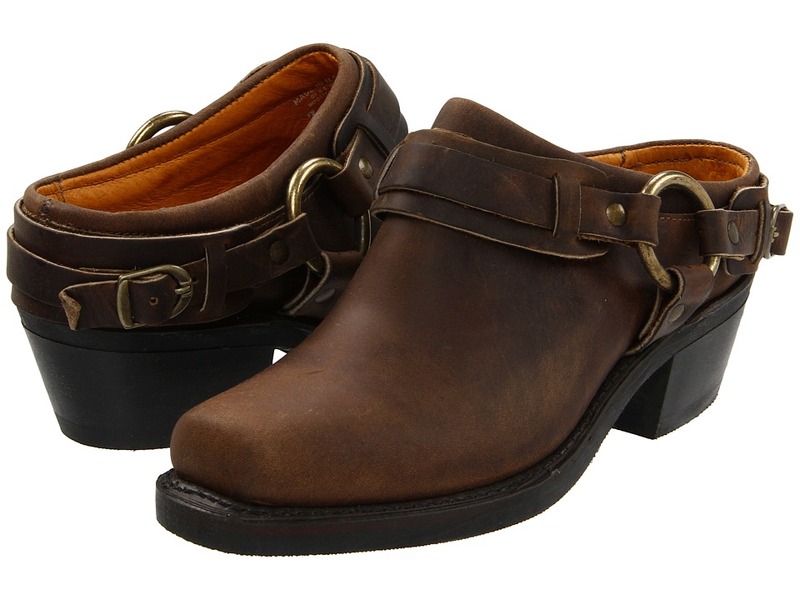 Classic style and unbeatable comfort - you can~t go wrong with this beautiful harness boot. 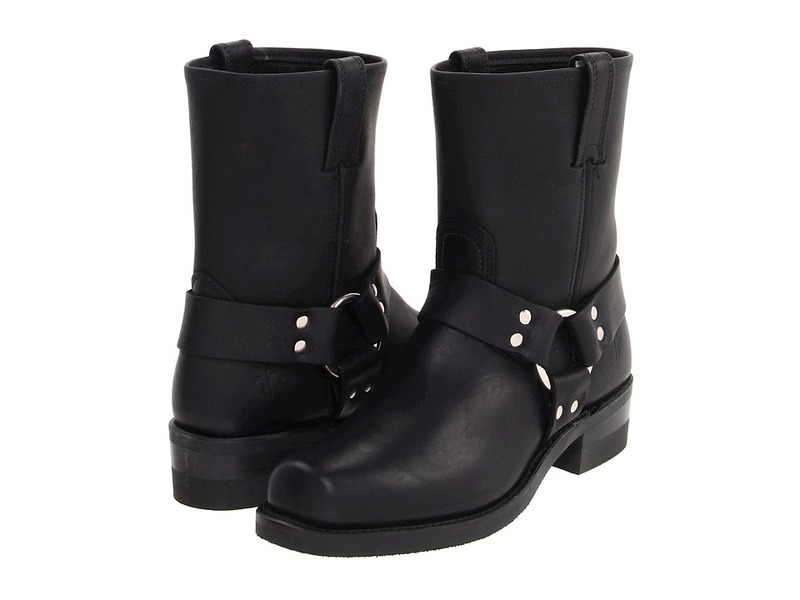 Luxurious leather upper with harness buckle detail. Pull-on design with dual pull straps. Specially formulated insole offers superior cushioning. Stacked leather heel with a rubber heel lift. Genuine Goodyear welt construction provides maximum support with authentic styling. Neoprene oil-resistant sole and full length leather midsole for durability and comfort. Measurements: Heel Height: 1 1 2 in Weight: 1 lb 14 oz Circumference: 13 in Shaft: 11 in Product measurements were taken using size 7, width B - Medium. Please note that measurements may vary by size. Weight of footwear is based on single item, not the pair. 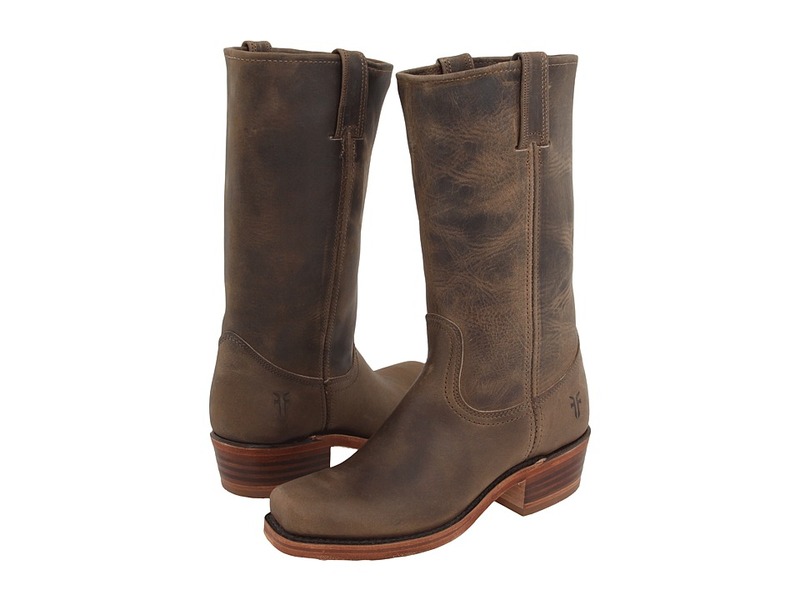 You will love the sleek, traditional style of the Frye Campus 14L boot. Montana crunch leather upper. Easy slip-on design. Leather lined for a comfortable next-to-skin feel. Cushioned insole for all day comfort. Stacked leather heel. Leather sole with a rubber heel tab for added traction. Made in the U.S.A. Measurements: Heel Height: 2 in Weight: 2 lbs Circumference: 14 in Shaft: 13 in Platform Height: 1 2 in Product measurements were taken using size 8.5, width D - Medium. Please note that measurements may vary by size. Weight of footwear is based on single item, not the pair. Genuine Goodyear welt construction for maximum support. 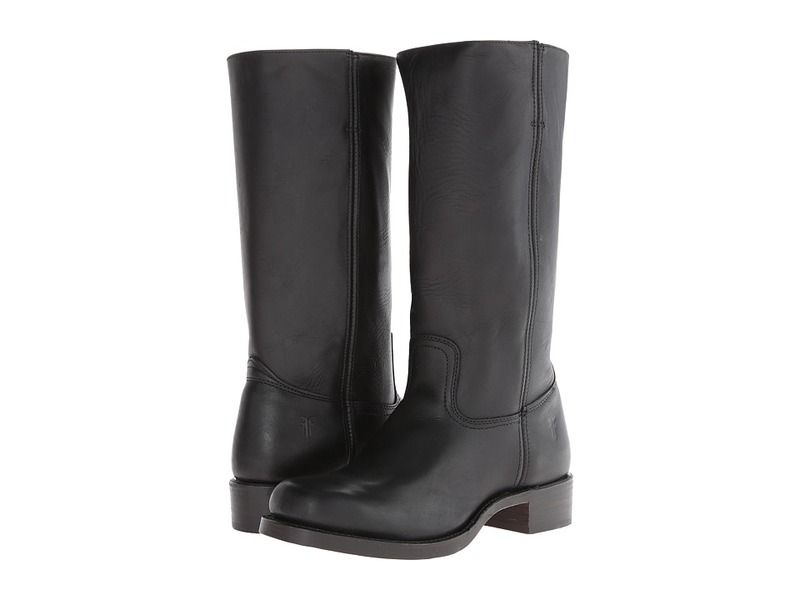 Neoprene oil resistant sole with full-length leather midsole provides comfort and durability. Specially formulated insole offers superior cushioning and resists bacterial growth. Measurements: Heel Height: 1 3 4 in Weight: 2 lbs Circumference: 14 1 2 in Shaft: 12 1 4 in Product measurements were taken using size 7.5, width D - Medium. Please note that measurements may vary by size. Weight of footwear is based on single item, not the pair. 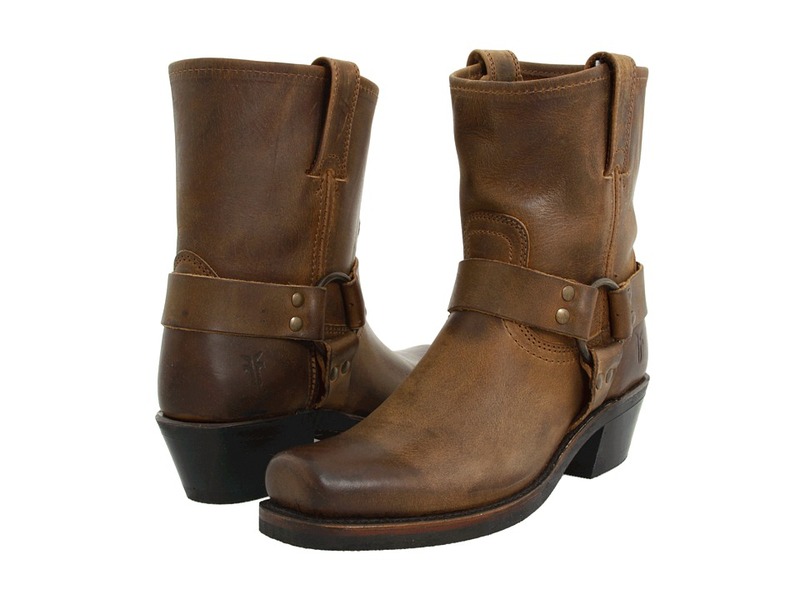 The Harness 8R by Frye is a classic that will never let you down. 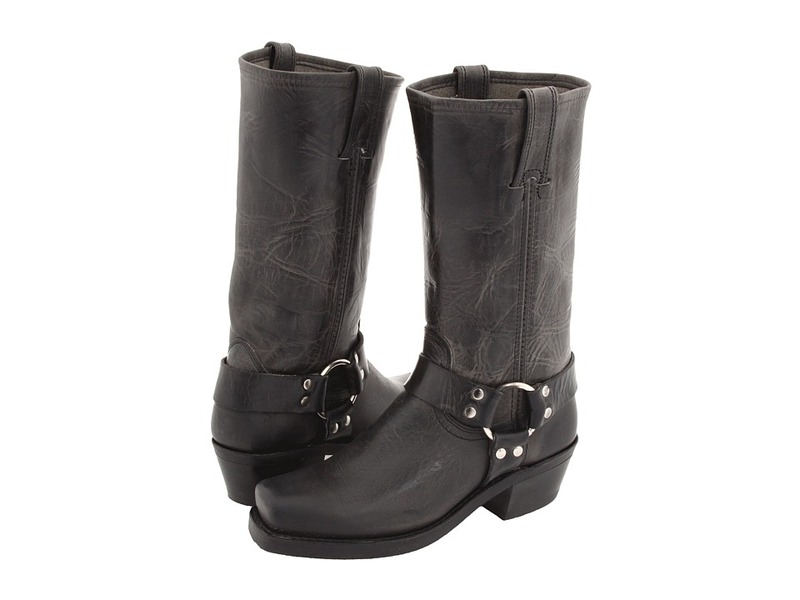 Luxurious leather upper with harness detail. Classic pull-on design with dual pull tabs. Specially formulated insole offers superior cushioning and resists bacterial growth. 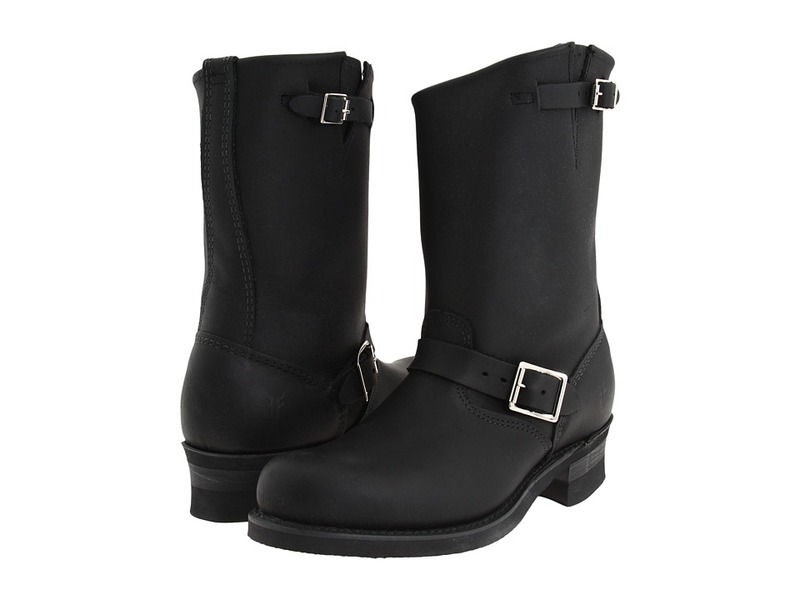 Silver-toned hardware details Neoprene oil resistant sole with full-length leather midsole provides comfort and durability. Genuine Goodyear welt construction for maximum support. Measurements: Heel Height: 1 3 4 in Weight: 1 lb 14 oz Circumference: 14 in Shaft: 8 5 8 in Product measurements were taken using size 8, width D - Medium. Please note that measurements may vary by size. Weight of footwear is based on single item, not the pair. A beautiful, stylish boot. Leather upper for superior wear. Lightly padded footbed for added comfort, support, and shock absorption. Reinforced boot straps for easy pull-on. Leather sole provides excellent traction. A great boot, a must have for any wardrobe. Measurements: Circumference: 15 1 4 in Shaft: 11 1 2 in Product measurements were taken using size 8, width D - Medium. Please note that measurements may vary by size. Weight of footwear is based on a single item, not a pair. 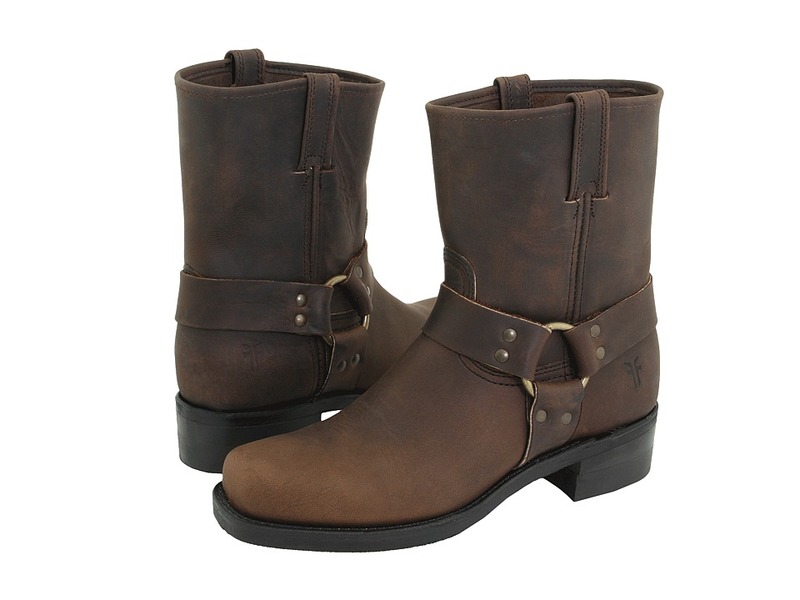 Simple and easy go hand-in-hand with the light style of the Frye Harness 8R. Premium leather upper material. Harness detail with metal hardware around the ankle. Specially formulated insole offers superior cushioning and resists bacterial growth. 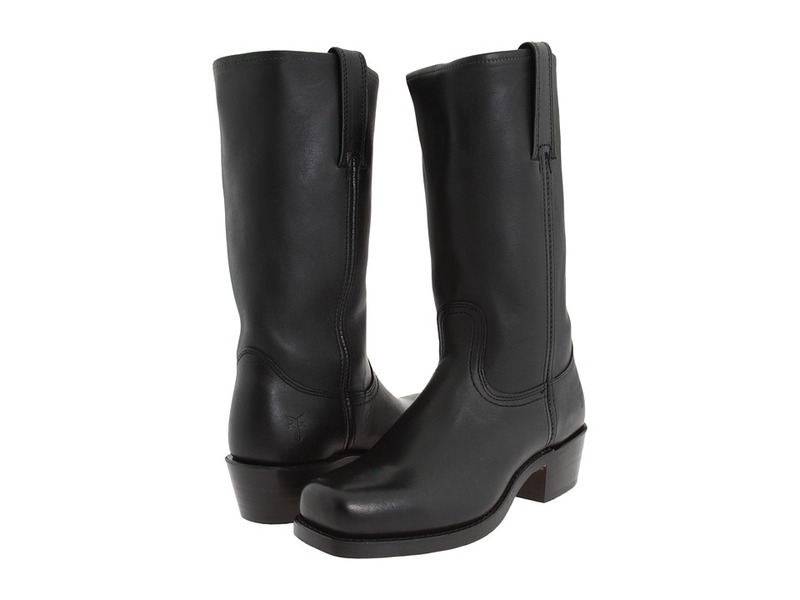 Neoprene oil resistant sole with full-length leather midsole provides comfort and durability. Genuine Goodyear welt construction for maximum support. Measurements: Heel Height: 1 1 2 in Weight: 1 lb 14 oz Circumference: 13 1 2 in Shaft: 8 in Platform Height: 1 2 in Product measurements were taken using size 7, width D - Medium. Please note that measurements may vary by size. Weight of footwear is based on single item, not the pair. An awesome and stylish boot. Leather upper for superior wear. Lightly padded footbed for added comfort, support, and shock absorption. Reinforced boot straps for easy pull-on. Leather sole provides excellent traction. A great boot, a must have for any wardrobe. Measurements: Heel Height: 2 in Weight: 1 lb 9 oz Circumference: 13 3 4 in Shaft: 11 1 2 in Product measurements were taken using size 6.5, width B - Medium. Please note that measurements may vary by size. Weight of footwear is based on single item, not the pair. These heeled darlings will spice up your look for day or night! Leather upper for long beautiful wear. Lightly padded footbed for added comfort. Leather lined for superior comfort. A comfortable 2 inch heel. Neoprene oil resistant sole provides excellent traction. A great addition to any wardrobe. Made in the USA. Measurements: Heel Height: 2 in Product measurements were taken using size 10, width B - Medium. Please note that measurements may vary by size. Weight of footwear is based on single item, not the pair. Genuine Goodyear welt construction provides maximum support with authentic styling. Neoprene oil resistant sole and full length leather midsole for durability and comfort. Shaft height 7 &amp#188 inches, circumference about 14 inches. Specially formulated insole offers superior cushioning. A must have, pick up a pair today. Measurements: Heel Height: 1 3 4 in Product measurements were taken using size 10, width B - Medium. Please note that measurements may vary by size. Weight of footwear is based on single item, not the pair. 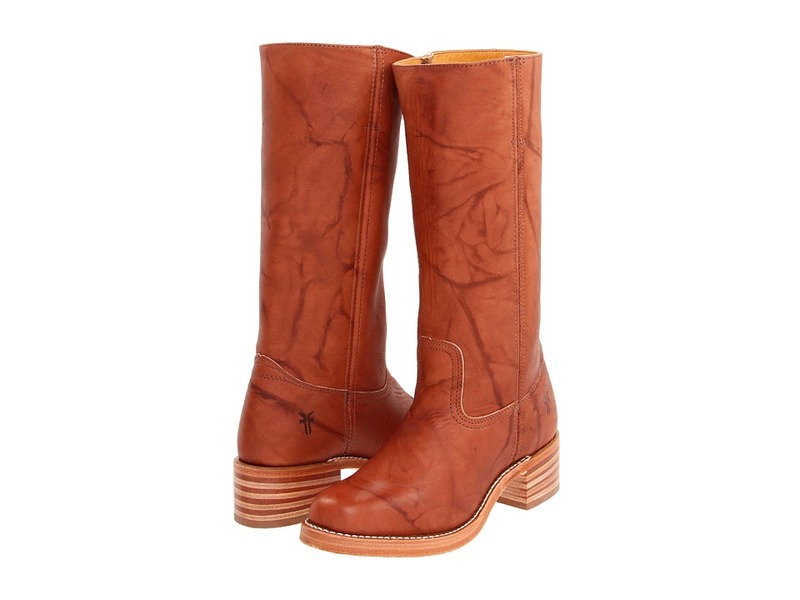 The Frye Campus Stitching Horse is the perfect tall boot that will last season after season. Montana leather upper. 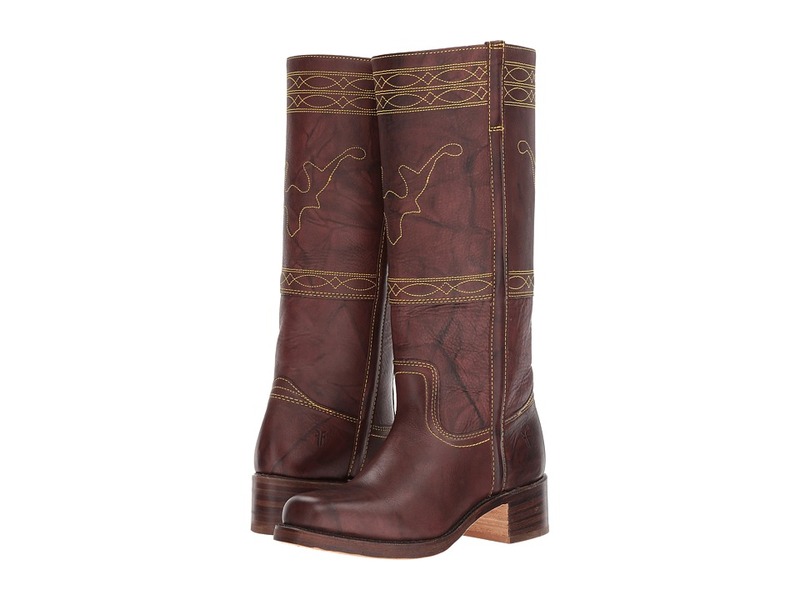 Features unique stitching throughout with a stag design on shaft front. Smooth leather lining for a comfortable fit and feel. Cushioned leather footbed for all-day comfort. Durable leather outsole. Imported. Measurements: Heel Height: 2 in Weight: 1 lb 12 oz Circumference: 14 in Shaft: 15 in Product measurements were taken using size 10, width B - Medium. Please note that measurements may vary by size. Weight of footwear is based on single item, not the pair.